Any copyrights not expressly granted herein are reserved. Reproduction, transfer, distribution or storage of part or all of the contents in any form without the prior written permission of Expert Witness is prohibited except in accordance with the following terms. Expert Witness consent to you browsing Expert Witness World Wide Web pages on your computer, tablet, telephone, electronic device or printing copies of extracts from these pages for business use only and not for redistribution in any way unless consented to in writing by Expert Witness. Individual documents in our World Wide Web pages may be subject to additional terms indicated in those documents. The trademarks, service marks, trade names, trade dress and products represented on our World Wide Web-site are protected. No use of these may be made without prior, written authorisation of Expert Witness except to identify the products or services of the company. Other products and companies mentioned herein may be trademarks or trade names of their respective owners. Your access to this site should not be construed as granting, by implication, any license or right to use any marks appearing on the site without the prior written consent of Expert Witness or the third party owner thereof. It is strictly forbidden to extract any data/information from the website to sell, distribute or use as a third party. Payment is required within 30 days of order. A discretionary 10% discount on the total amount invoiced is available only if payment is received within 14 days of order. Promotional offers or alternative discounts may be provided at the discretion of Expert Witness and notice will be given of any intent to provide said offers. 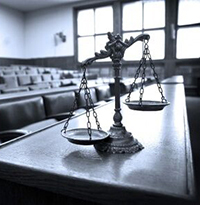 Alternative payment arrangements are made at the discretion of Expert Witness. Any arrangement will require signature of agreement and will be considered legally binding. Failure to pay on any agreement will result in legal action. Notice of your intent to cancel this order must be provided in writing by fax or post. 14 days will be charged at 30% of the total order value. 30 days will be charged at 50% of the total order value. Over 30 days will be charged at the full order value. The advertiser is solely responsible for providing any artwork or information required to complete the order placed on this booking form. Notice of the deadline date for publication will be communicated via email or telephone. Failure to return the necessary information required to complete this order by the deadline date will not be considered a cancellation of the order which will be charged at the full order value. The publisher reserves the right to include an index to the advertisement in the publication and will not be held responsible for any error or omission. The publisher reserves the right to position the advertisement notwithstanding any preferred position requested by the advertiser. The publisher does not accept responsibility for delays in publication. It is hereby agreed that delays in publication will not constitute a breach of this contract. This order form, including these Terms & Conditions constitutes a legal contract. No employee or agent representing the company has any rights to vary the content of this agreement without written confirmation which must be authorised by a Director of Expert Witness. The publisher reserves the right to cancel any order. We are certified by the Information Commisioner's Office and adhere to Data Protection Laws. All our products are despatched within 3 working days via Royal Mail first class service. Promotional items supplied free of charge, may be despatched via 2nd class post. Are you a new customer? Take advantage of our extensive distribution numbers and delivery methods by booking a place in our directory.